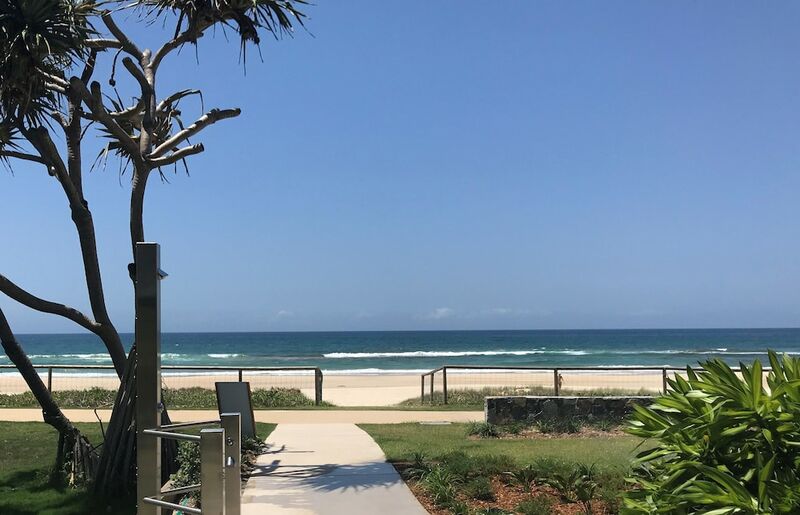 With a stay at Sanctuary Beach Resort in Currumbin, you'll be on the beach, a 4-minute walk from Currumbin Wildlife Sanctuary and 6 minutes by foot from Currumbin Beach. This beach apartment is 3.1 mi (5.1 km) from Kirra Beach and 3.9 mi (6.3 km) from Coolangatta Beach. Make yourself at home in one of the 22 air-conditioned rooms featuring kitchens with refrigerators and ovens. Rooms have private balconies. Complimentary wireless Internet access keeps you connected, and DVD players are provided for your entertainment. Conveniences include microwaves and washers/dryers, and housekeeping is provided weekly. Take advantage of recreational opportunities offered, including an outdoor pool, a spa tub, and an outdoor tennis court. Additional amenities at this apartment include complimentary wireless Internet access, barbecue grills, and a vending machine.